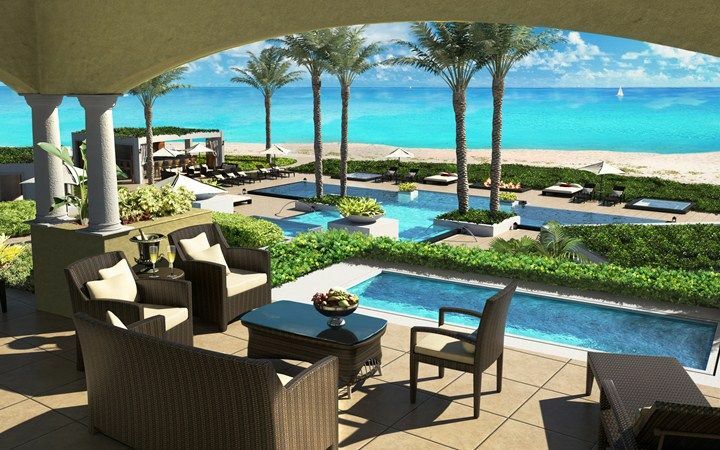 Grace Bay Club is located on the island of Providenciales at the western end of the Turks & Caicos archipelago, a group of more than eight islands and many smaller cays just south of the Bahamas. 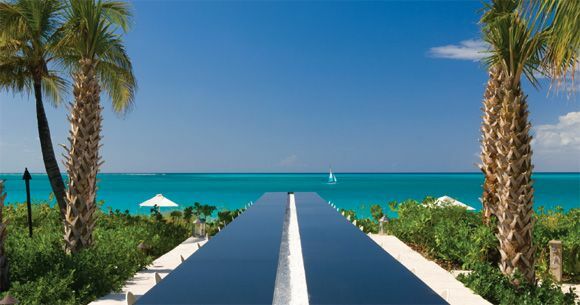 A pioneer on Providenciales, Grace Bay Club was the first luxury, all-suite hotel in the Turks & Caicos Islands and quickly became known as a haven for uninterrupted relaxation, a quiet setting, privacy, intimate pampering, luxury amenities and attentive personalized service. 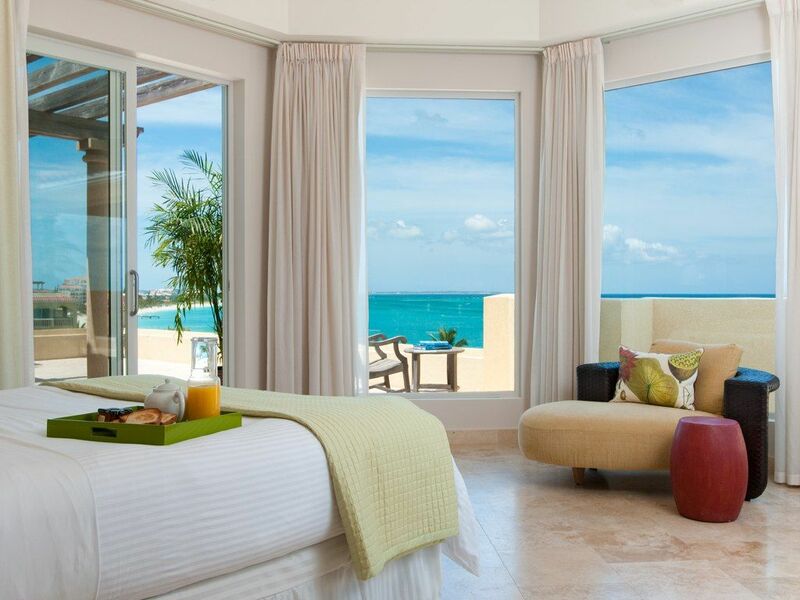 Comprised initially of only 22 ultra-spacious suites (now the Hotel), and now with an additional 38 ultra-spacious family-friendly suites at the Villas, Grace Bay Club is one of only a few luxury boutique hotels in the Caribbean and is distinctive for its European look and feel, and exemplary international service. Even more distinctive, all suites are just steps off the beach and all ensure that guests have ocean views. Experiencing a striking renaissance, the intimate and elegant resort has been transformed and expanded this year and offers a peaceful and secluded environment where the most discriminating travelers find the ultimate in first-class ambiance, service and amenities. Two separate sections provide luxury for discerning travelers: the adults-only Hotel area with its own restaurant, bars, and swimming pool; and the family-friendly Villas with its own restaurant, bar, and swimming pool. Features include: the acclaimed romantic oceanfront Anacaona restaurant; and the hip Lounge, just steps off the beach, for food, drink and music; the new poolside, the open-air family-friendly Grill, a swim-up bar, the Anani Spa and Fitness Center, and Kid’s Town, home of the resort’s new supervised children’s program. Additionally, Grace Bay Club offers a full complement of water sports and a Beach Concierge; well-appointed and spacious suites; Hobie cats, kayaks, tennis; bicycles; and 18-hole golf nearby. Situated on beautiful Grace Bay, a 12-mile stretch of powdery white sand beach with striking turquoise water, the resort now covers 11 acres and 1050 feet of beach frontage, giving it the lowest density of any property on the island. The hotel, its pool, and its beach area will remain an adults-only property, providing intimacy and tranquility of the highest order.